Cambridge attempted to coordinate with Oxford, and considered how to exploit employees’ concerns, in a concerted effort to influence the higher education sector earlier this year. Last term saw an unprecedented revolt against what staff saw as a betrayal by their institutions of their interests. 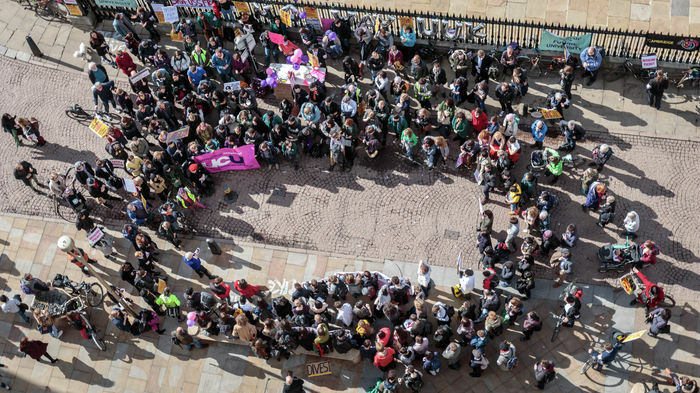 40,000 university staff across 64 institutions took to picket lines for fourteen days of strike action, demanding the preservation of their pensions. A Varsity investigation has uncovered senior finance officials at Cambridge attempting to steer the national pensions dispute to protect their financial position. University Finance Committee minutes leaked to Varsity reveal that senior officials called for Cambridge’s response to a survey gathering employers’ perspectives on the national pensions scheme to be “coordinated with Oxford as far as possible”. Explained Who are the finance committee and pensions working group? The finance committee meets officially around five or six times a year. Its purpose is to advise the Council on the University’s assets, such as its estates, investments, income and expenditure. The finance committee consists of 13 members, chaired by Vice-chancellor Stephen Toope. Three members are elected by representatives of the colleges, four are appointed by the University Council, one by the General Board, two by Regent House, and two co-opted by the committee. The pensions working group, a sub-committee set up by the finance committee, includes an independent actuary Jonathan Seed, University officials, head of the intercollegiate pensions sub-committee of the bursars’ committee Simon Summers, and is chaired by Pro-vice-chancellor for Institutional and International Relations Professor Eilis Ferran. The goal was to demonstrate that there was a mandate for a position that falls in line with their financial interests, that employers take on the lowest risk possible in the national pensions scheme. The survey, sent out by university representative Universities UK (UUK), was intended to gather a representative view of employers on its proposed changes to the Universities Superannuation Scheme (USS), the largest higher education pensions scheme in the UK. As staff striked with a desperate sense of impending financial insecurity, senior figures saw an opportunity to capitalise on their fears. Notes from a meeting in September 2017 between Oxford and Cambridge bursars described Cambridge’s “growing realisation and frustration that financially weaker Higher Education Institutes (HEIs) were relying on the balance sheets of stronger HEIs to support the pension scheme, and indirectly, allow greater borrowing in the sector.” The document, previously available on an Oxford internal server, was later removed. Should Cambridge leave the national pension scheme, it would mark a betrayal of the higher education sector. Explained What is the last man standing currently in place, and why does Cambridge want to break away from it? The USS operates under a last man standing scheme. Under the scheme rules, the liabilities of universities which become insolvent are passed to the last employer in the scheme. Sectionalisation, which came up in finance committee discussions and Summers’ leaked email, involves the legal separation of each institution’s assets and liabilities. This would allow the finances of pension schemes across the higher education sector to be separated. In the case of one institution becoming insolvent, the funding deficit would then not be spread across the other participating institutions, which is what occurs under the current last man standing' system. Leaks revealed the University has calculated it would cost £2.5bn to pull out of the scheme, making it unfeasible for the time being. To pull out of the scheme was seen as a last resort. Despite this, meeting minutes reveal the option was given serious consideration. If word got out that they were considering this, Finance Committee members feared, it could paint the University as indifferent to the fate of the sector. Colleges too, conspired to push for lower risk. 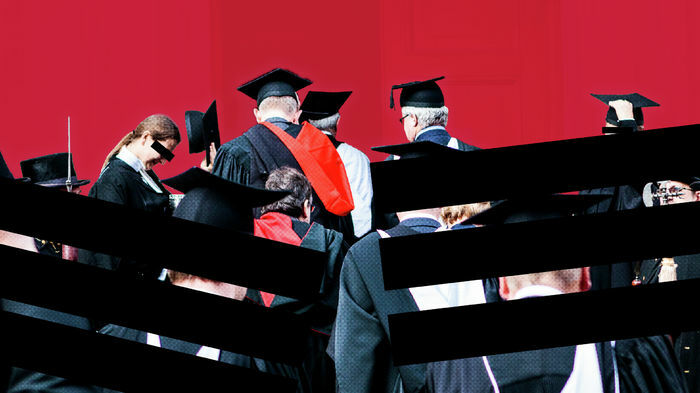 A leaked email from Simon Summers, chair of the pensions sub-committee – a circle of college bursars – provided a “suggested response” to colleges to call for less risk to be placed on employers. Questions already exist about college collusion: the only five colleges which have released the details of their responses in full were found to have responded virtually identically, with all of them pushing to take less risk in funding staffs’ pensions. A Varsity investigation in March found that seven of the eight colleges which have confirmed they called for less risk, three of which have released statements but did not provide a transcript of their responses, have come forward about their decision-making procedure: bursars had submitted their responses on behalf of the college without consulting their governing bodies. In March this year, as a handful of colleges came out with statements criticising their bursars’ actions, there was a mounting sense that something was amiss in how Cambridge colleges were able to influence the pensions dispute. When questioned by Varsity, Summers did not address the question of why he pushed bursars to achieve a consensus, instead saying that he wished to advise bursars to “consider having that consultation [with the Governing Body] as soon as possible”. Did Cambridge’s colleges help cause the staff pensions crisis? What was Cambridge trying to achieve? Employers’ perspectives, both that of the University and colleges, indicated a growing disillusionment with the structure of the national pensions scheme as a whole. In the University’s response to the September 2017 survey, it expressed its “strong preference” to break from the last man standing scheme currently in place. In sticking with the defined benefit scheme, institutions will be forced to make higher contributions to their employees’ pensions. Cambridge expressed concern that the current system left it vulnerable to inheriting liabilities as weaker institutions fell away. Pensions working group members expressed concern at possible future increased risk to employers if the last man standing scheme was maintained. Meeting minutes revealed members’ views: “it should be pointed out that there were alternative options for scheme design” – which they expressed in responding to the survey. Cambridge had repeatedly expressed its desire for a sectionalisation of the pensions scheme, wherein trustees would be able to segregate sections of the USS in order to mitigate the impact of one employer defaulting on other members. The last time this happened, it went unnoticed. Yet a network of pensions discussions disconnected from staffs’ interests has been years in the works. Freedom of Information requests reveal that for the previous USS valuation in 2014, Professor Jeremy Sanders, the former Chair of the Pensions Working Group, met with counterparts at Oxford, LSE and the University of Edinburgh. The official at Oxford had also met with administrators at the University of Manchester and Imperial College. Decisions made behind closed doors by a select group of senior Cambridge officials seem to have played a key role in bringing the crisis to a flashpoint. 2018 marked an awakening for many at the marketisation of higher education. Cambridge as an institution is evolving. In doing so, it calls into question who its decision-makers stand for, if not its staff, and the fate of higher education itself.